Following their debut as part of the Arts Centres�’Mix It Up’ Program supporting Malian kora great Toumani Diabate, the Kora Collective return for an intimate evening of textural improvisation, original songs and music from afar. 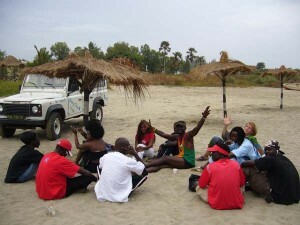 Tues 13th MarchInformation Night2011 “Roots Wasulung”Cultural Tour to�The Gambia, West AfricaIt’s time to get informed!If you are at all interested in finding out more about our annual study tour to The Gambia West Africa, here is your next chance…We are holding an�additional�information evening in Melbourne on�Tues 13th March�to answer all your questions and get an idea of numbers for next years tour. Features information about our education programs, �community and corporate drum and dance events, performances and stacks of photos. Beginners class:� focus on basic hand drumming technique and simple djembe rhythms. 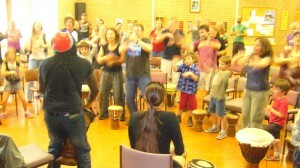 Make your childs next party a hit with African drumming. 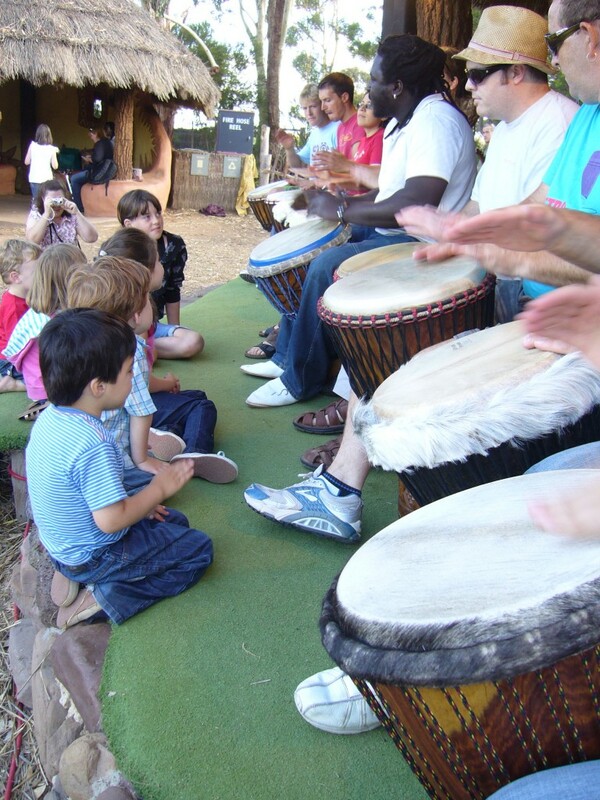 Contact King to discuss how we can cater to your individual entertainment requirements with drumming, dancing, face painting and instrument making activities. Djembe shells from Guinea and The Gambia West Africa. Pre-made drums can also be purchased. Enquiries and bookings contact King by phone or e-mail.� Ph:� 0430 465 133. On Saturday and Sunday you are free to explore Gambia on your own or with the group at organised events such as weddings or naming ceremonies. This can also be time to practice. Visa:��1 month visa granted on entry to The Gambia, renewals as required. Afro Mandinko CD is available locally from Blue Moon Records in Johnson St Fitzroy (between Brunswick and Nicholson St) and online at�www.indie-cds.com� or you can come to one of our up-coming gigs and get it direct from the source.� King also has a number of previous recordings available by request. 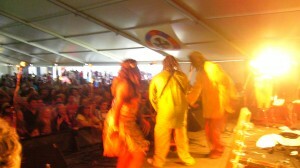 Afro Mandinko are now on JJJ unearthed. �If you like what we do and wish to support us please follow this link and playlist, rate and review us, MORE FIRE! Class Update: Come and try it for yourself, 1st class is FREE! Afro Mandinko are now on JJJ Unearthed! If you like what we do and would like to help support our music you can by visiting our unearthed site, commenting, playlisting and rating us! It’s time to get informed! to answer all your questions and get an idea of numbers for next years tour. If you would like to come along contact king via e-mail and we will register you for the evening which will include some tasty Gambian food for you to sample, video footage of previous tours and Bec and King answering all your questions. If you are interested in joining us in Africa but can not make this event please contact us and we will answer any questions you may have. As we near the end of another MASSIVE season of festivals, we take a moment to reflect back on the good times had! Thanks to all those event organisers and staff who put together such wonderful events as Falls, Summer Fun in the City, Globe to Globe, St Kilda Festival, Footscray Performing Arts, Pako Festa, Mix It Up, Night Cat, Ceres Reggae Fest, Werribee Zoo and to all those who we met along the way. We appreciate all your support and encourage you to get in contact with us if you would like to know more about us and the other work that we do. AND we are not quite finished yet…..
Melbourne’s hottest afro big band bringing you fat afrobeats, smooth afro reggae, steaming afro funk, dance competitions, incredible african dancers, special guests and much more……..
One Africa is the beautiful new project of Senegambian artists Lamine Sonko and King Marong with guest Bec Matthews. 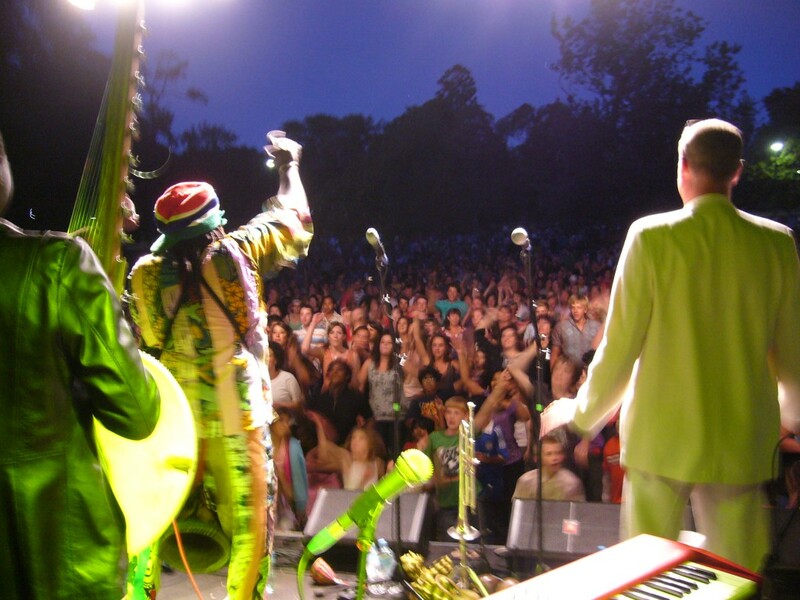 Having already played at several major national and international music festivals including Bellingen Global Carnival, Reggaetown and Malaka Festival Malaysia the ensemble will be on the Kultour National Touring program this year as well as playing at a number of the countries much loved festivals. See Kultour website for details of these and other performances. 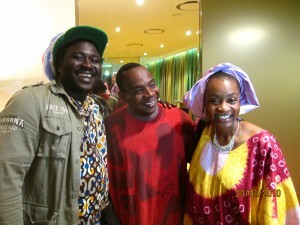 One Africa will be touring all states and territories over the couse of the year, stay tuned for updates. Following their debut as part of the Arts Centres ‘Mix It Up’ Program supporting Malian kora great Toumani Diabate, the Kora Collective return for an intimate evening of textural improvisation, original songs and music from afar. 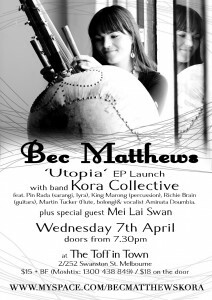 Featuring the rare talents of globally inspired multi-instrumentalists Bec Matthews (kora, Kamelngoni), Pin Rada (sarangi, lyra), King Marong (percussion), Richie Brain (guitars) Martin Tucker (flute, bolong) and vocalist Aminata Doumbia, the ensemble are sure to captivate with a selection of lush soundscapes, contemporary beats, and other worldly charm. Features information about our education programs, community and corporate drum and dance events, performances and stacks of photos. COME & TRY, FIRST CLASS FREE! Beginners class: focus on basic hand drumming technique and simple djembe rhythms. 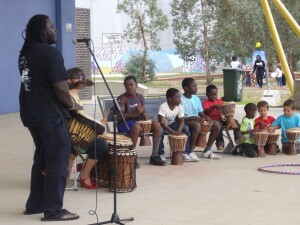 Throughout the year there are numerous performance opportunities, in the past these have included Australia day celebrations at Federation Square , Revolver Upstairs and Rhythm of Africa at Werribee Open Range Zoo. 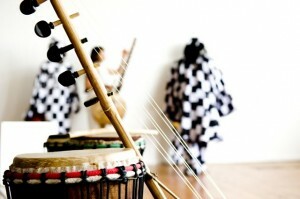 Private drumming tuition is also available by negotiation. If you wish to really immerse yourself in your study of West African Music please consider a study tour to The Gambia West Africa, details below…. King will be offering drum making workshops for those interested in learning the craft, making their own drum or re-skinning an existing drum. Costs vary depending on the shell you choose. Enquiries and bookings contact King by phone or e-mail. Ph: 0430 465 133. The Gambia , well known as the ‘smiling coast’, is a small country on the north west coast of Africa . Situated on either side of the large and powerful Gambia River that dominates the country. Gambia is about 300 km long by an average of 40 km wide and is surrounded by Senegal . It has about 80 km of coastline on the Atlantic Ocean and it is also where the river meets the sea. Gambia is vibrant, colourful and fascinating with many different tribes, traditions and a rich cultural heritage. Gambia is a melting pot of cultures with communities from every country in West Africa keeping their culture alive through their music, this makes it possible to experience the customs and become familiar with music of several different cultural groups. This tour features several intensive day workshops with musicians, dancers and acrobats from 5 different tribes, all with different and unique performance styles and costumes. No matter what the tribal background, music and dance is an integral part of daily life in Gambia . Participants will have experiences that are unique as they witness what they are learning in its cultural context. As well as a focus on music there are many other activities suitable for singles and families alike. The local cuisine of the region is unique and delectible and it’s preparation a fine art to master, you too can learn how to cook with local women. The bustling open markets are a cultural experience unto themselves and the range of local textiles impressive, for those artistic folk, there is endless inspiration. If you come from a health or education background, there is the opportunity to share your skills with the local schools and hospitals, a truly enriching experience for all involved. This tour supports socially responsible travel, whereby activities result in positive outcomes for the local community. King still has a number of Gambian djembes and kora (African Harp) for sale. King also offers drum making workshops by demand for the chance to allow people to gain a greater understanding and appreciation of their instrument. Afro Mandinko CD is available locally from Blue Moon Records in Johnson St Fitzroy (between Brunswick and Nicholson St) and online at www.indie-cds.com or you can come to one of our up-coming gigs and get it direct from the source. King also has a number of previous recordings available by request.